START by standing up with unlocked knees, rounded back and the upper part of the body relaxed. Remember you are imitating a monkey. NEXT start to make your body shake slightly with no effort. This movement comes from the heels. Try to create an inner vibration that releases tensions from all parts of the body: back, shoulders, arms, hands, face, brain….shake and release tensions. MOVE your weight from one side to the other. Try different angles, which will help release the tension in different areas. ADD SOUND if you feel like it. 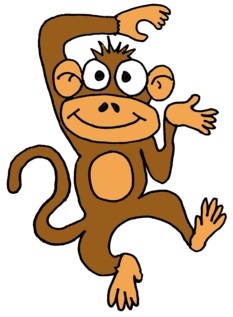 Monkey’s are great at “aaahh… aaahh…aaaahhhh…aaaahhhh”…the sound comes out with no effort from the deepest parts of their body. NOW IMAGINE the body is full of water and feel how the vibrations move this water and makes it flow easily. Try to hear the noise of the flowing water in the body and have fun like a kid. Try making the sound of the water jiggling around in your monkey body. What does it sound like? This relaxation technique is also a great way to balance your body and mind. I doubt if you have seen many stressed out monkeys. So keep on shaking and releasing all that bottled up tension. OUR HATS OF TO THE MONKEYS. and the landscape seemed to gleam. that the spring season was near. and meant a lot for me to know. 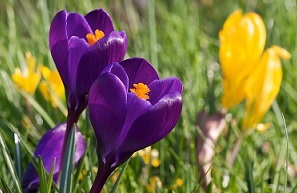 Purple promotes strength, is good for emotional problems, reducing pain, helps re-balance one’s life, is associated with imagination, and psychic inspiration. LOVE THAT PURPLE! Aquamarine known as a stone of courage was carried by sailors as a talisman against drowning. Aquamarine is named from its beautiful green-blue color resembling the sea. This stone was also once prized as a protection against shipwrecks. Aquamarine calms the mind, promotes self-expression, and helps bring unfinished business to a conclusion. Spiritually, this stone sharpens intuition, opens up clairvoyance, and is a wonderful stone for meditation. 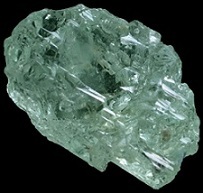 Aquamarine is excellent for energizing the immune system, useful for sore throats, swollen glands, and thyroid problems. It aids the eyes, jaw, teeth, and stomach by placing it on or near an infected or inflamed area. This lovely stone can also be used to align the chakras. ≈ Patanjali (He is credited with the creation and compilation of the Yoga Sutras). Peppermint herbs with their strong, clean, fresh, and minty aroma have always been highly regarded for soothing digestion. Young Living Essential Oils list the following healing and helpful attributes for Peppermint Essential Oil™. Healing Properties: Anti-inflammatory, anti-parasitic, antibacterial, antiviral, and antifungal. Research: Shows that Peppermint supports liver and respiratory systems. Dr. William Dember found that inhaling Peppermint Oil increased mental accuracy by 28 percent. (I don’t know about the percentage, but my classmates and I always passed around the Peppermint bottle before our tests). Inhaling Peppermint also helps relieve nausea and headaches. Peppermint’s ability to directly affect the brain’s satiety center, which triggers a sensation of fullness after meals also studied. Cautions: Avoid contact with eyes, wounds, infants younger than 18 months. It is recommended to dilute 1 part EO with 2 parts vegetable oil when applying to skin. Citrine is said to have healing properties to help physically, emotionally, and spiritually. Physically: Citrine energizes and recharges the body, cleanses the chakras, stimulates digestion, the spleen, and pancreas. It can reduce ulcer flare-ups, balance the thyroid, and increase visual ability. It stimulates the brain, strengthening the intellect. Emotionally: Citrine can calm and soothe distressed conditions, relieve depression, self-doubt, and eliminate negative ideas. It also helps release anger, irrational mood swings, and self-destructive behavior. This gemstone is emotionally balancing. 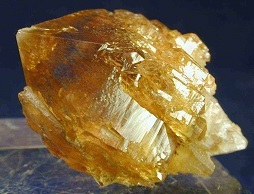 Spiritually: Citrine is said to heighten psychic awareness and help increase spiritual development. 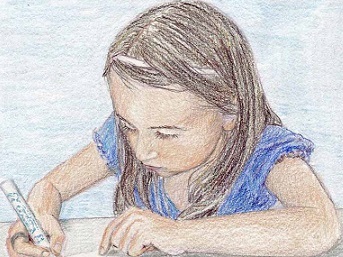 It enhances concentration and encourages self-expression. 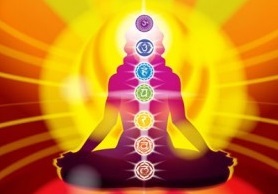 We all need to relax, meditate, or exercise to balance our chakras, but it seems impossible to find the time. However, most of us generally have to spend time at the kitchen sink doing dishes. We can take this boring sometimes tedious chore and turn it into a visual balancing chakra exercise. Don’t worry if you don’t complete all the chakras. There are always other chores to do that might call for continuing this exercise for distraction. Please take your time, enjoy, and feel free to print this out if you need a reminder of locations and colors of the chakras. 1. Root Chakra: As you pick up the first dish, picture in your mind’s eye visualize and feel the vibrant red energy at the base of your spine. Stay with this color until you feel you’ve had enough. 2. Move to the Sacral Chakra about 2 inches below the navel and visualize a brilliant orange energy and as you are rinsing off dishes soak up this color until you feel you’ve had enough. 3. You are now at the Solar Plexus, visualize a field of lovely yellow flowers bathing in the sun as you feel the warmth of the dish water. Soak up this energy until you feel you’ve had enough. 4. Move up to the Heart Chakra. Visualize all the luscious greens in nature and soak up the healing green energy. Stay with this color until you feel you’ve had enough. 5. Now you are at the Throat Chakra. Visualize and bathe your hands in the glorious blue energy while continuing your dishes until you feel you have had enough. 6. 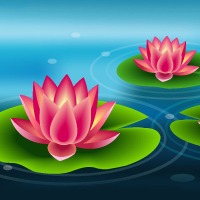 Move to Brow Chakra visualize a beautiful flower opening up it’s petals revealing wonderful indigo energy. Stay with this color until you feel you’ve had enough. 7. Move to Crown Chakra visualize this wonderful violet energy flowing into and balancing this chakra.